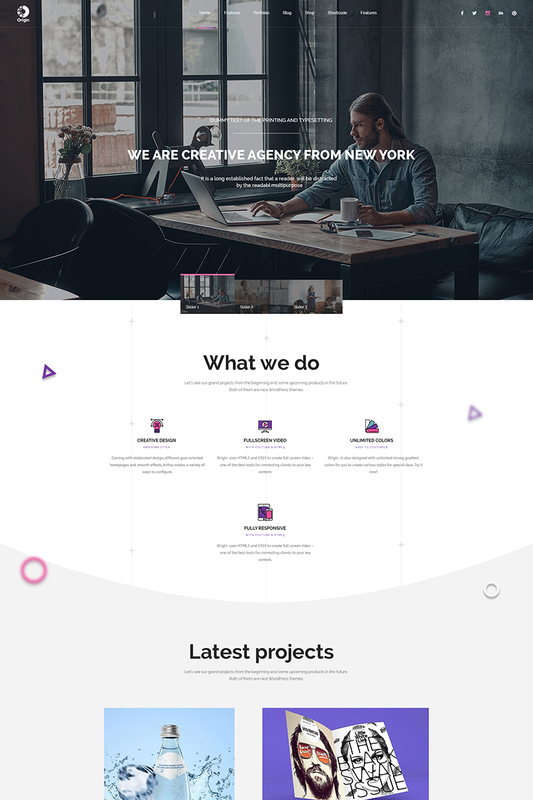 Origin PSD Template is a perfect clean, cretive and minimal design offering numerous sections to create a great website which is suitable for personal portfolio, creative studio. 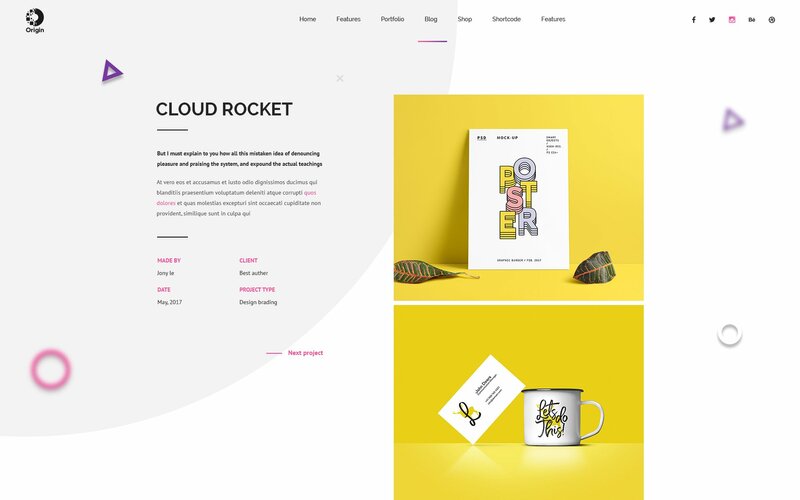 This brilliant and minimal design was fine-tuned the smallest elements to ensure a free-from-flaws template which is suited for all engaging creative sites. 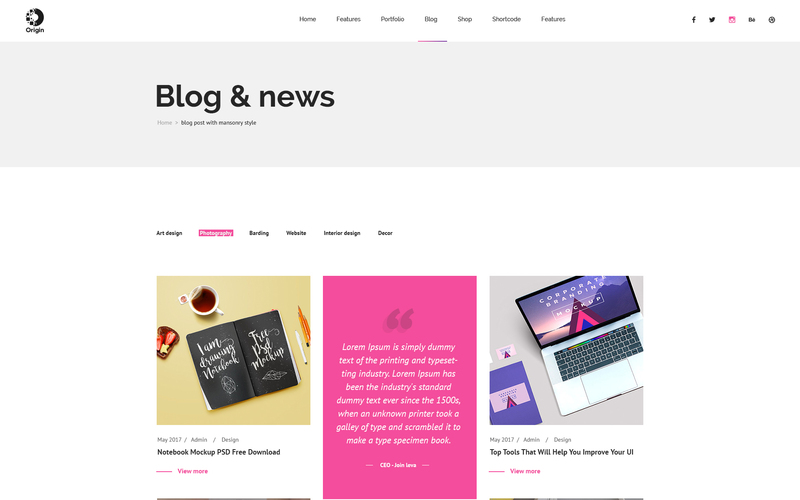 The design comes with 02 creative and minimal homepages specially designed for minimal and creative or portfolio websites respectively. Everything is clear and easy to customize when Origin is well-organized in set PSD files. 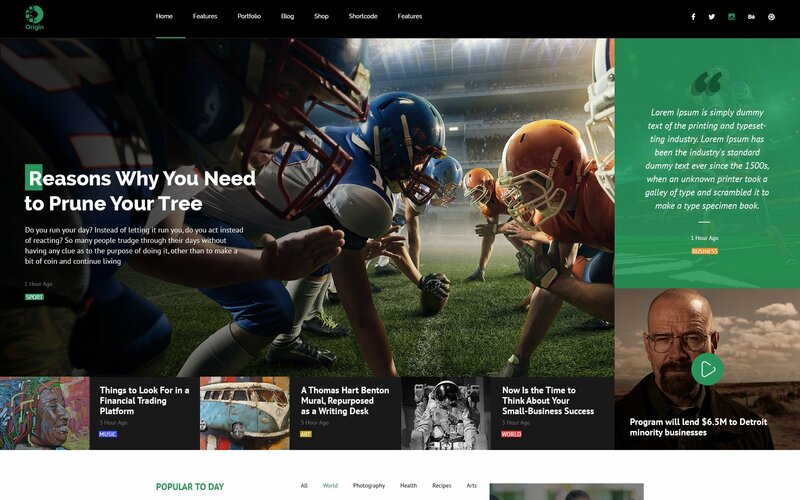 It comes with modern home pages, well-structured layer groups and various sample page layouts such as About Us, Contact, Portfolio, Blog and others. 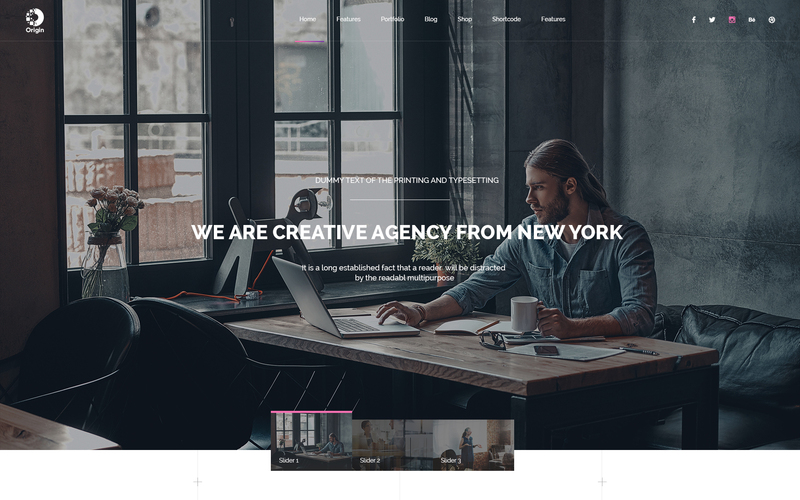 In addition, this divine PSD Template is able to be used for WordPress, Joomla, Drupal or any other CMSs. The downloadable files are well-organised, well-named, fully-layered and easy to modify. Any media â€“ Images, icons or logos used in previews are not included in this item and you need to contact authors to get permission in case you want to use them in your commercial or non-commercial projects. Read help file for more details after you purchased the design.